These presentation slides 45719 are complete compatible with Google Slides. Simple download PPTX and open the template in Google Slides. 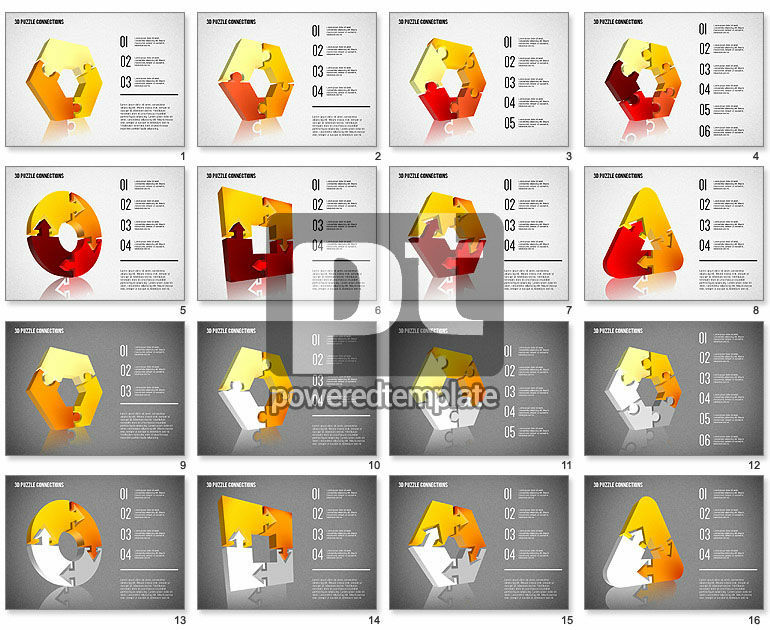 Meet this stylish and bright template, created in a 3D puzzle style, for various topics of your presentations. It has many items of different shapes connected together in a jigsaw puzzle manner. This sample is colorful and multifunctional, so you may use this awesome theme anywhere in business sphere, media or network to talk about various sequences, connections, structures, dependences and so on.